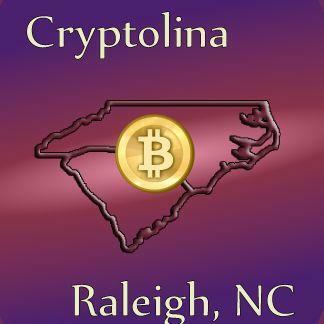 Cryptolina is the first Bitcoin Expo taking place in the Carolinas, with the event scheduled for August 15th and August 16th 2014 in Raleigh, North Carolina. The conference is turning out to be an interesting affair already, with a variety of speakers and sponsors already lined up for this opportunity. It is great to see Bitcoin conferences popping up in different cities throughout the United States and not just the East and West Coasts, which seemed to be the case even a year ago. Cryptolina follows another interesting Bitcoin conference, this time in the heart of Midwest, in Chicago, which took place on July 19th and 20th, 2014. The United States, unsurprisingly, is taking the lead in Bitcoin-based businesses and startups, and developing the ecosystem around cryptocurrencies. It was only a matter of time before the ideas spread to other smaller cities. The US is also leading the world in terms of the number and variety of Bitcoin conferences and expos, with only more of them to come in the future. Cryptolina seems like a very special event, as it is courting unconventional speakers, and therefore promises to be an interesting mix of talks covering everything from the philosophy, economics and technology around Bitcoin. 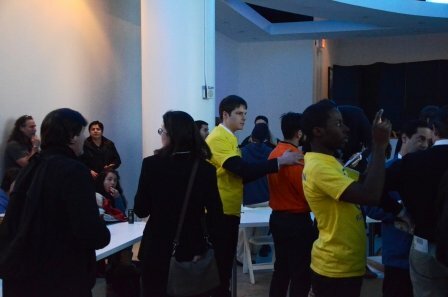 It is always nice to see events happen more locally, where people can attend and participate in these expos without too much of a travel-hassle. I am sure this event would be well-attended by the entrepreneurs and thinkers around the Carolinas. 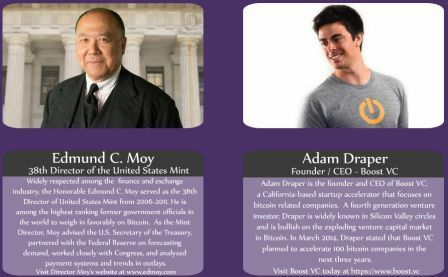 One of the most interesting aspects of the conference seems to be the choice of Keynote Speakers – Edmond C. Moy, 38th Director of the United States Mint and Adam Draper, Founder/CEO of Boost VC – acknowledging that Bitcoin has grown up, into something more mature and mainstream than it was even a year or two ago. I am excited to be a part of this conference, and will be live-Tweeting the event as well as covering it in various formats. If anyone else is attending, drop me a line. The North American Bitcoin Conference is coming to Chicago on July 19th and July 20th 2014. 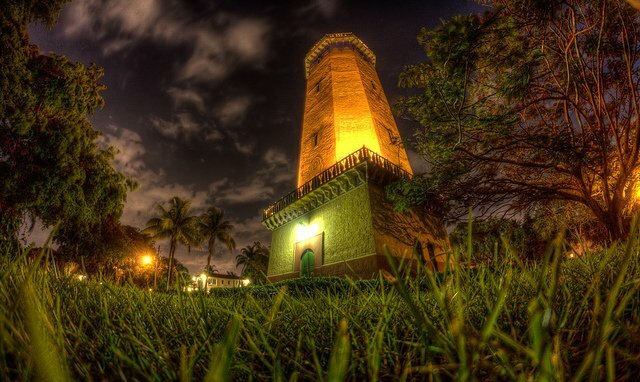 This is the second North American Bitcoin Conference, the first one being held in Miami. Just like in Miami, the conference promises an exciting ‘pre-party’. Also, remember that Bitcoin has grown a lot in one year, and the conference in Chicago will probably attract a much larger crowd and audience. 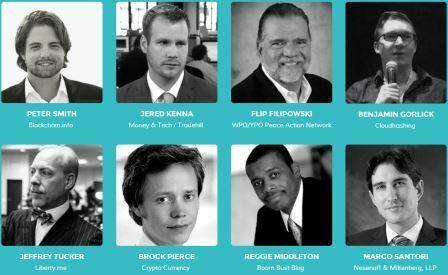 This list of speakers and panelists is impressive, and is a nice mix of Bitcoin businesses, speakers and libertarians. The speaker list reminds me of the Crypto Currency Convention in Atlanta in 2013, which also had a lot of philosophical and economic speakers, as opposed to just Bitcoin businesses (which is usually the case at Inside Bitcoins conferences). There will be two speaker tracks, since there are so many speakers to accommodate! I think the speakers and panelists have a lot diversity, and it would be a very interesting meeting place for people in the Bitcoin community. Bitcoin conferences are a great way to meet others in the community and also get to absorb some of the best ideas from the people involved with crypto currencies. This is also the first Bitcoin conference in Chicago that I am aware of (correct me if I am wrong), so it should be interesting to see if this attracts enough attention and people in the midwest of United States can attend. Chicago happens to be an important city, with upcoming tech and financial industries (not as evolved as New York, but still important enough, historically and for the future). Tickets are $275 for the entire event, or $225 for a single day pass. Go grab your tickets today! If you’re attending this conference, let me know in the comments and we can probably meet up. 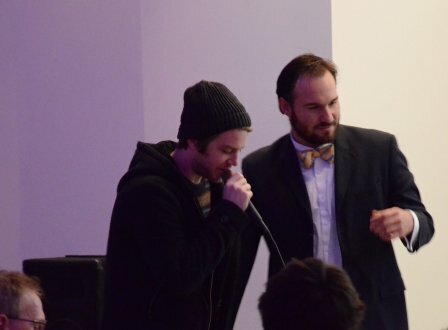 Lots of things have happened since we first wrote about the first Crypto Currency Convention in New York that focuses on all crypto-currencies and not just Bitcoin. This conference will probably set a precedent for future crypto-currency events, and people in the community are watching closely. I am happy to report that the conference has attracted several prominent speakers already and has some prominent media affiliates too. I’ve been to several Bitcoin conferences and there are many elements of success that the organizers need to get right – good speakers, full-house or relevant audience and good media coverage. It seems that the organizers are getting all three elements right. It doesn’t hurt that the event is being held in New York, a city at the heart of the global financial and media system. 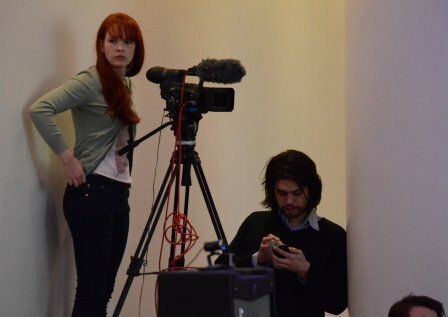 It would be nice to see mainstream media covering the event too, as it seems some of these news outlets are looking beyond Bitcoin for coverage, which is always a welcome move. Some of the media sponsors of this even include the Wall Street Journal and Fast Company. The conference is also a good platform to give voice to the developers and promoters of altcoins who would probably only be snubbed at any Bitcoin conference. Even though there has been a huge influx of altcoins with no innovation, there are plenty of altcoins that are trying out new ideas and it goes to see which ones would be adopted by the market and future developers. It is important to experiment in this space, and let the market decide the best features. 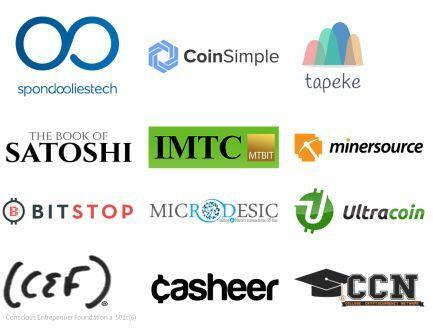 There are lots of altcoin developers and promoters, so you can learn about their projects and interact with them. 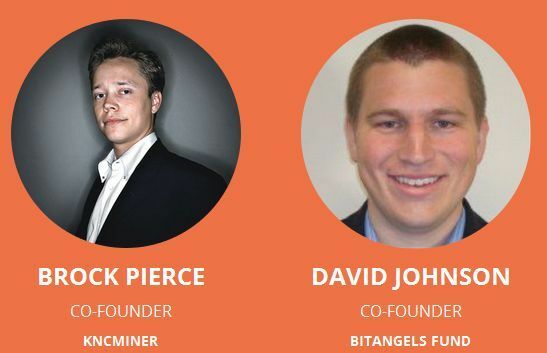 However, one set of speakers stood out for me – the cofounders of BitAngels group which has invested hundreds of millions of dollars in this space. 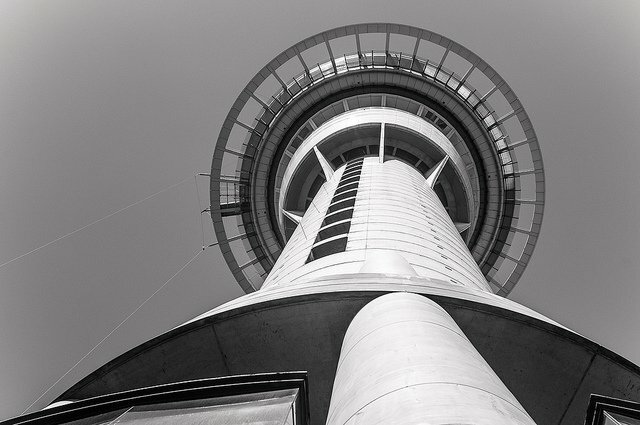 They are speakers at the conference, but are they looking at new ideas to fund too? Anyway, visit the Crypto Currency Convention website today and book your tickets for April 9th! 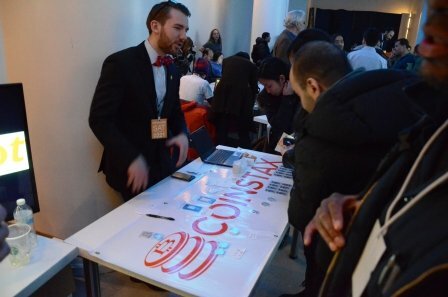 We’ve seen several Bitcoin conferences, but here’s the first real crypto-currency convention, right in the heart of the action – New York. The conference is dedicated to crypto-currencies in general, and the speakers include developers and marketers of various coins (there is a good list already, which keeps expanding by the day). This crypto-currency convention is on April 9th. The timing is curious, because April 7th-8th is a huge Bitcoin conference in New York by Inside Bitcoin, which I anticipate is going to be huge (I was there at the Las Vegas conference of Inside Bitcoin and it was great). So people who are traveling to New York for the Inside Bitcoin conference can stay a day more for the first crypto currency convention. We at BTC Geek will be covering both the events live. Also, just to mention again, as far as I know, this is the first real crypto currency convention involving altcoins. 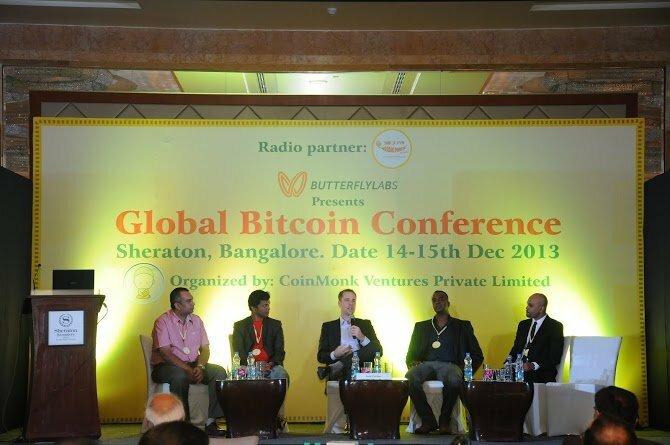 I say real because some conferences in the past were named crypto-currency conventions but dealt with Bitcoin mostly. For instance, the CryptoCurrencyCon 2013 in Atlanta in October last year was named Crypto Currency Conference but it dealt with Bitcoin and the libertarian philosophies behind Bitcoin, not with any altcoins. This convention comes at the right time for crypto-currencies and altcoins. They have been in the news a good deal, and people are beginning to recognize that math-based currencies are going to stay with us. It is also a great time for altcoins to come out from under Bitcoin’s shadow (not that I anticipate this happening soon, but perhaps eventually) and establish themselves independent of the Big-B, for instance, be priced independent of Bitcoin. 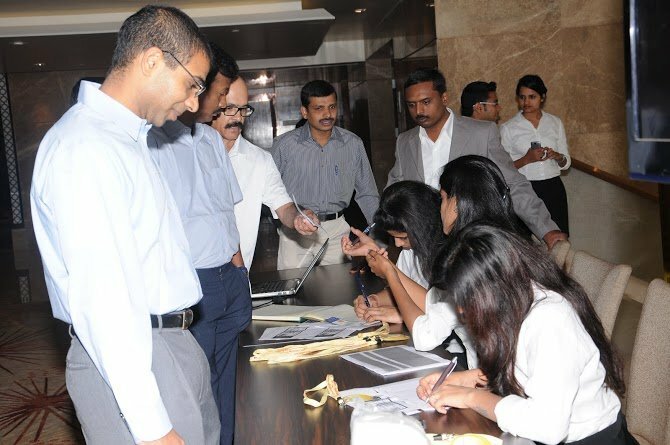 I would also encourage altcoin teams to attend the event. 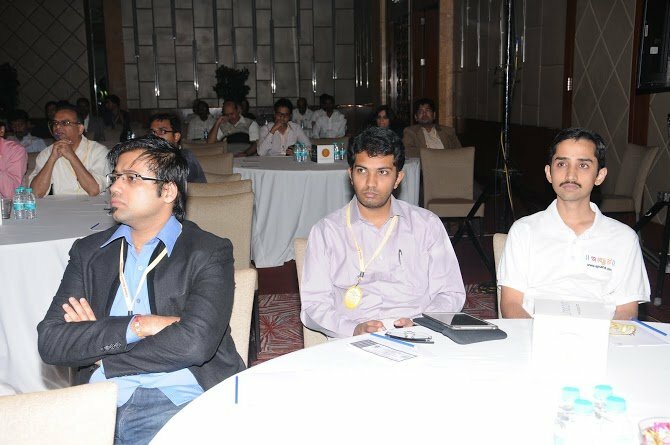 Events can be a great way to meet a highly concentrated bunch of highly interested people and introduce them to the coin. It is also a very good way to get some media attention, especially since this event is in New York. I also like the fact that New York is taking the lead in these events. New York is the perfect hub for this to grow – it has a strong financial and media industry presence, and a very up and upcoming but strong tech-startup scene. It is a great place for Bitcoin and altcoins to take off. 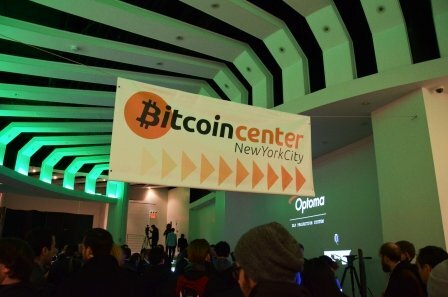 The Bitcoin Center in New York is doing great work introducing people to Bitcoin too. And I think conferences like this one only help promote crypto-currencies to more and more people, and begin the process of making them mainstream. Get your tickets for the convention today! 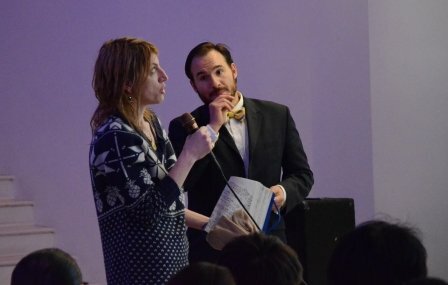 The Bitcoin center NYC is reviving the interest in Bitcoin in New York, and it is a pleasant surprise to see so many people interested in this debate. This Bitcoin debate was held on Tuesday, February 18th 2014 at the Bitcoin Center on 40 Broad Street in New York, very close to the New York Stock Exchange. 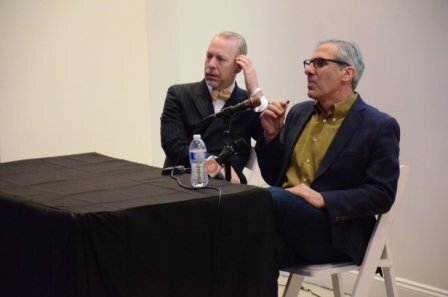 The previous day, they hosted a trading and networking event, with Jeffrey Tucker ringing the trading bell and some old-school style pit-trading. Although this was technically a debate, it seemed more of a conversation about money, economics, government, banking and Bitcoin. Andrew Schiff said he has more favorable views of Bitcoin than his brother Peter Schiff, the famed investment broker who correctly predicted the housing crash and subsequent financial crisis. Peter Schiff remains bearish on USD and the economy in general and bullish on commodities, but not Bitcoin. He thinks Bitcoin isn’t going anywhere and used the awful Tulip Mania analogy to describe Bitcoin in the past. Andrew Schiff said he has milder views about Bitcoin. 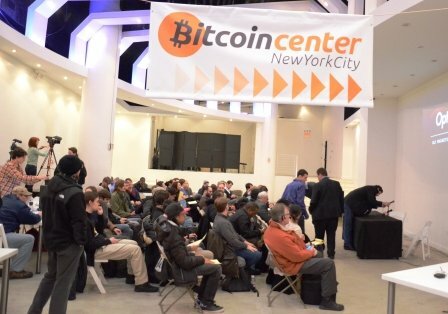 The Bitcoin center was packed, but luckily the center is fairly large in space with adequate standing room. The major points raised by Andrew Schiff against the popularity of Bitcoin were that it doesn’t have a long history in the marketplace like gold does (fair enough, but you can’t really change that now, can you?) He also believes that a limited supply and anonymity are the major factors contributing to the value of Bitcoin, and if either one of these is compromised, then the value of Bitcoin might not hold. 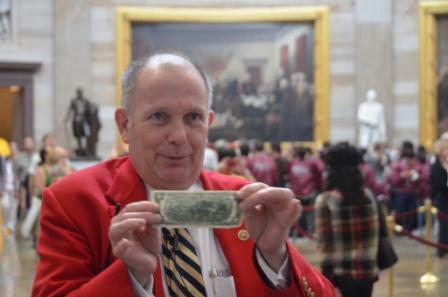 He essentially held the view that we just don’t know where Bitcion might be headed. Both the panelists got some time to present their point of view, then debated a bit between themselves and then there was a question-answer round from Twitter and the audience. The audience knew their stuff, and there was a good discussion that followed most questions, from zerocoin to Bitcoin in Africa. One question about mining gold from asteroids got the audience and panelists laughing and dismissing the question that I thought was totally fair – it’s not that the private sector isn’t trying already. The debate lasted about an hour and a half, and the audience was pretty keen on listening in, which is always a good sign. 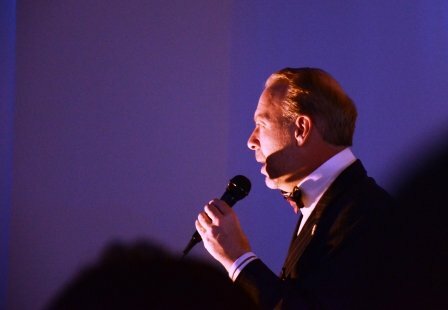 Not surprisingly, Jeffrey Tucker seemed more of a crowd favorite than Andrew Schiff. 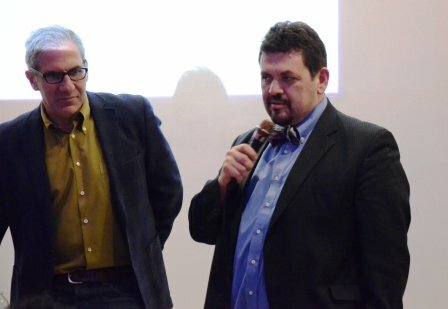 The final remarks were made by Nick Spanos, the founder of the New York Bitcoin center. There are lots of events happening here, so if you’re in or around New York, don’t forget to attend some of them at least. We’ve also been promised that the live recording will be available soon, although I couldn’t really find where. I’ll update the post if/when I find the full video. They definitely did record the whole show, which is a great sign of things to come! 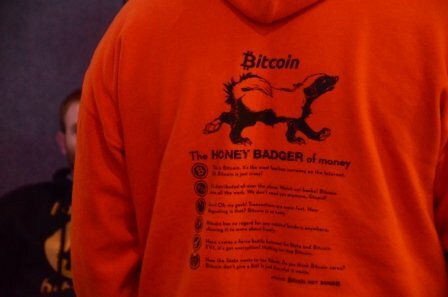 As a final note, kudos to the guy who attended this event with this on – yes, we all know Bitcoin is the honey badger of money, and Jeffrey Tucker actually referred to this during his talk too! Bitcoin is a lot of things to a lot of people. When the price speculation is at its peak, it seems like New York with its financial industry takes the lead. When startups around Bitcoin are in the news, Silicon Valley, California, takes the lead with its brilliant startup ecosystem. When philosophical and economical side of things escalate, libertarian heartlands like Atlanta are in the news. Of late, it seemed like New York was not as active on the Bitcoin scene and the center seemed to be shifting to California. Not anymore. 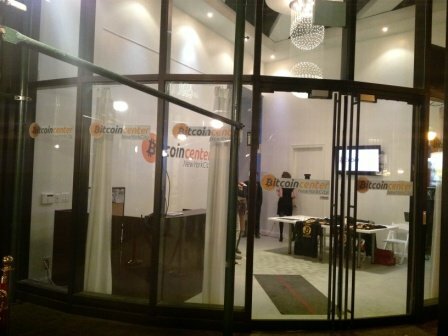 The Bitcoin Center in New York is located on 40 Broad Street, in the heart of the financial district in Manhattan. I was pleasantly surprised by the number of people in attendance today for a Bitcoin-pit style trading and networking event. 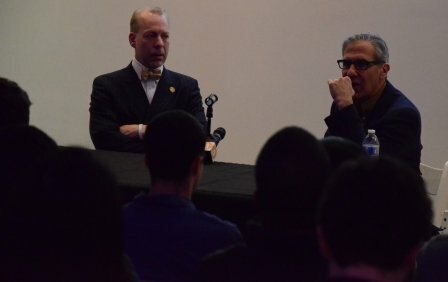 There were more than 100 people in attendance at the small space, and the chief guest was Jeffrey Tucker, a well known libertarian and Bitcoin supporter and the founder of Liberty.me. 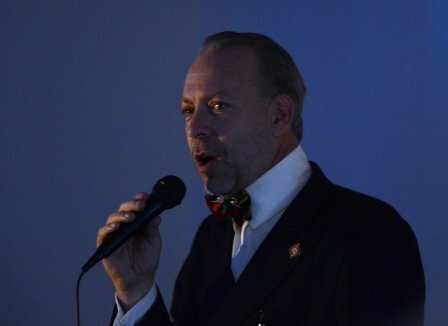 Whenever Jeffrey Tucker is at an event, it invariably leads to a good group of libertarians. 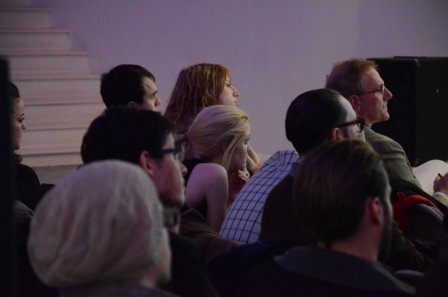 There were many in the crowd who didn’t know much about Bitcoin but cared deeply about libertarian principles, both economic and political. Also, expectedly, there were quite a few people from Students for Liberty. There was of course, the media (like yours truly) and there was NHK World Japan, a broadcasting company. Should be interesting to see what they come up with. 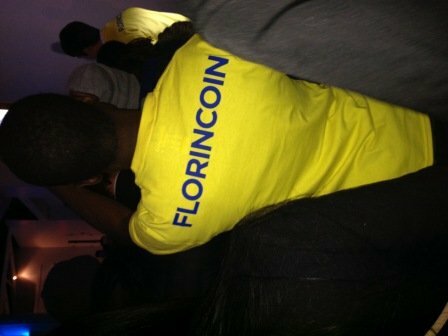 On the altcoin side of things, Florincoin was giving away free Flourincoin t-shirts during the event. That’s a smart move by the team, and other altcoins should take note. 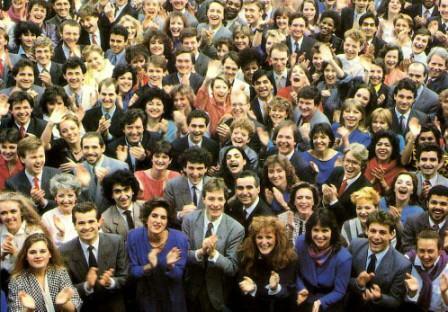 Now that there’s a deluge of new altcoins, teams should do everything to stand out from the crowd and in-person events are a great way to introduce people to your coin. There was Coinstax selling beautiful 1oz silver coins (Walking Liberty Silver Dollar, Silver Buffalo, Chinese Panda, etc.) and bars at very reasonable prices for Bitcoin. There were a few gold items as well. It’s good to be able to spend your Bitcoins on items that you want. 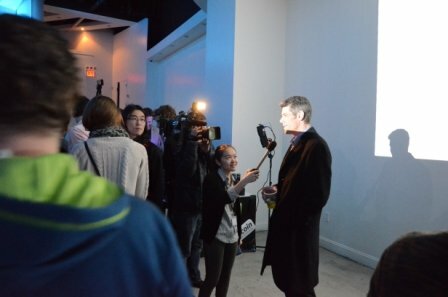 All in all, a great Bitcoin event in New York and hope there are many more in the future. Inside Bitcoin Conference in Las Vegas: We’ll be there! We’ll be there at the Inside Bitcoin conference in Las Vegas, on 10th and 11th December 2013. It has an impressive line-up of speakers and should be a very good experience. There are lots of interesting people in the Bitcoin world attending, and we hope the cover the event. If you’re going to this conference as well, drop us a line! 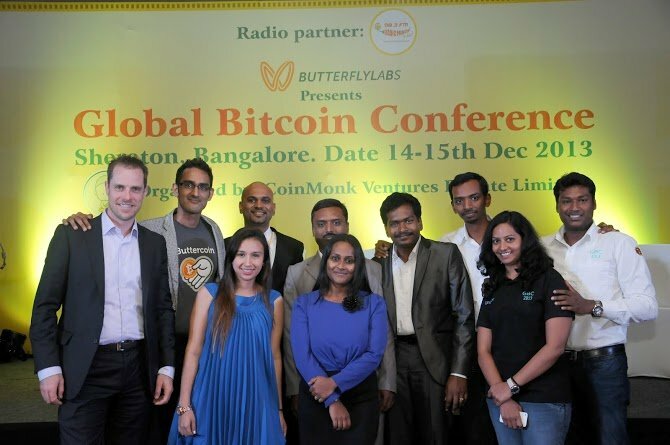 The first Bitcoin conference in India is going to take place on December 14th and 15th in the city of Bangalore, the 5th largest city in India and home to most of the multi-national software companies in India. 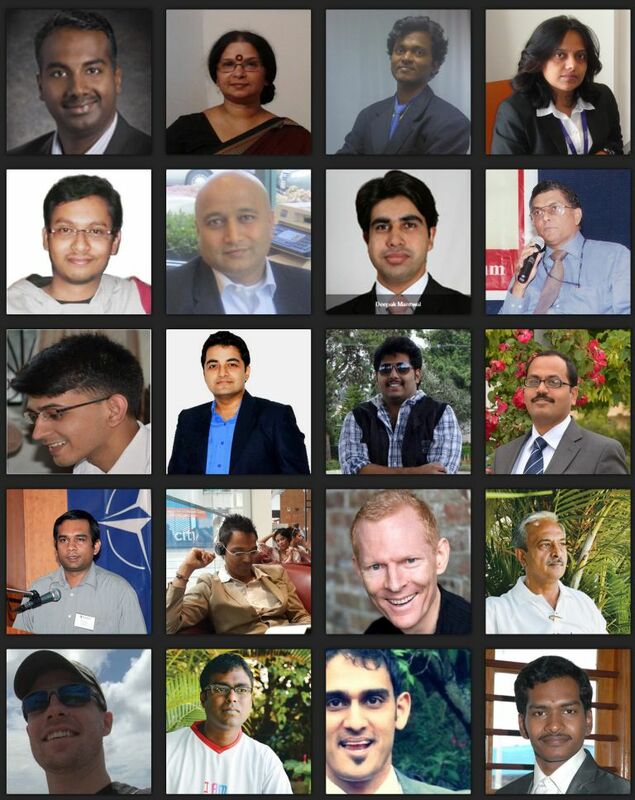 This should be an interesting conference for those in India and people in the Bitcoin space in general. Bitcoin exploded in China in the last two months, thanks to a number of factors. However, India, the second most populous country after China, also holds a lot of potential for Bitcoin, although the news out of the country has been pretty slow of late. I wrote an article back in August, Will Bitcoin Take Off in India and points I highlighted still hold true. Although India would probably not see as much trading frenzy as China, it has a very skilled software workforce that can actually contribute to the platform of Bitcoin itself, which is much more important than just the price vs. USD. 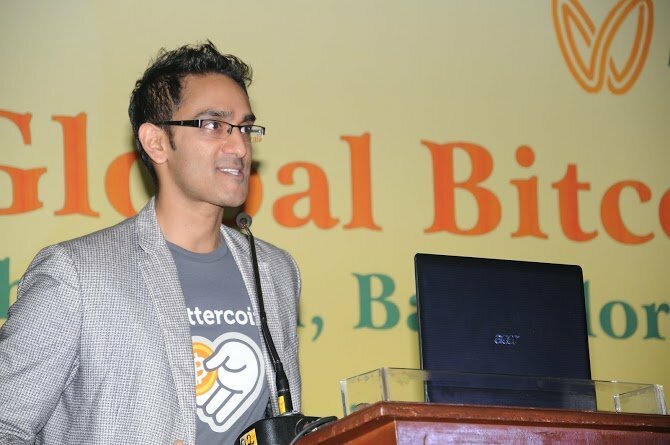 Bitcoin has several benefits it can offer to consumers and businesses in India, and conferences like these will only help spread the word and bring awareness in the community. It is also a very good way to go meet the people who are working on Bitcoin and related ideas in person, so you can be a part of the community as well. 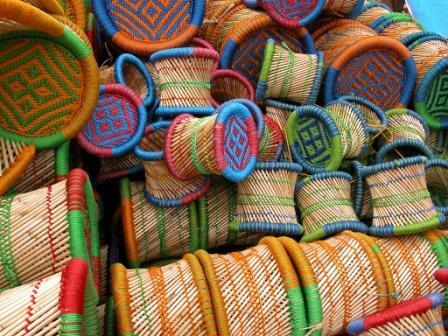 It is still in a nascent stage, and so getting in on the ground floor of the development should be a good start. 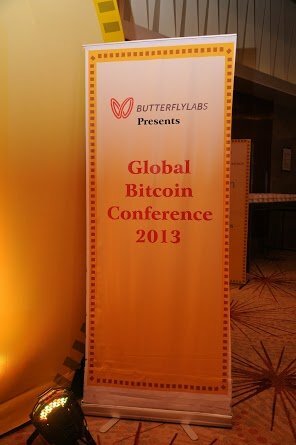 I think come next year, there will be more such conferences in India – it’s too big a market to ignore Bitcoin completely. BTC Geek is also happy to announce that we’ll have one of our team members go and cover this event, so we’ll publish a detailed blog post about the conference once it ends and also tweet during the event. 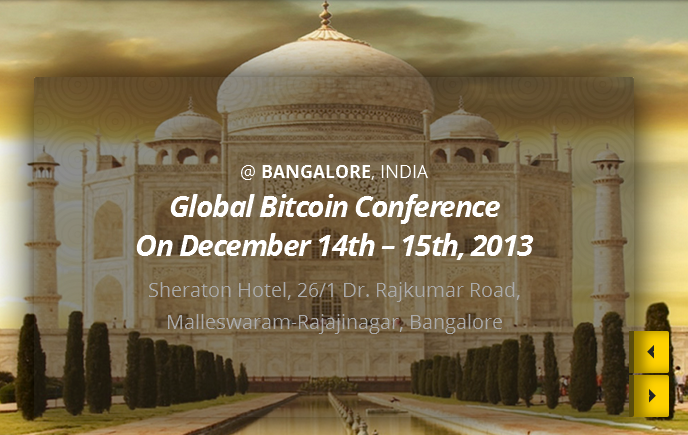 You can follow us on Twitter @BTCGeek to stay updated on the conference details. Drop us a line if you’re attending this conference.